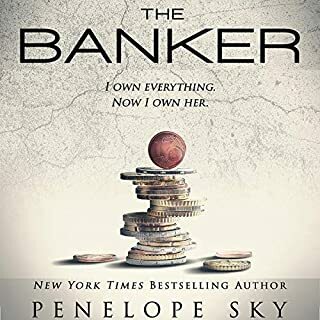 Fourth book in the New York Times best-selling Indebted Series. "She healed me. She broke me. I set her free. But we are in this together. We will end this together. The rules of this ancient game can't be broken." Nila Weaver no longer recognizes herself. She's left her lover, her courage, and her promise. Two debts down. Too many to go. Jethro Hawk no longer recognizes himself. He's embraced what he always ran from, and now faces punishment far greater than he feared. It's almost time. It's demanding to be paid. The story and narrators are excellent. 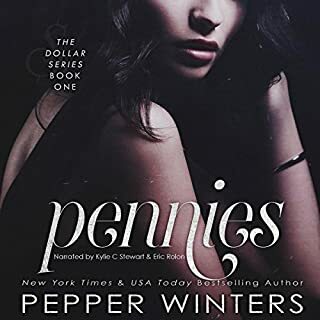 Classic Pepper Winters. Very rarely have there been such perfectly casted narrators. I hate to give a poor review for something not related to the author or story. The technical frustration with chapter 27 should be corrected. Overlapping dialogue from another section of the book. chapter 27 7;00 is broken and over lapped by a louder part of the story , very annoying, makes me not want to hear the rest of the book. What was one of the most memorable moments of Third Debt? Have you listened to any of Kylie C. Stewart and Will M. Watt ’s other performances before? How does this one compare? 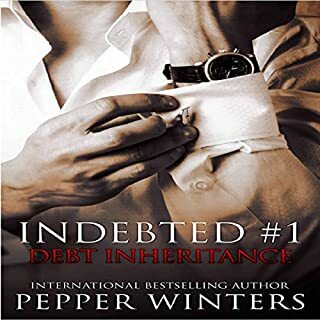 I have listened to Will and Kyle in all the other Debt Inheritance books and this one was just as great as the other books. I can't wait for other books with these two. They are now favorite performers of mine and I wouldn't hesitate to buy others of theirs. 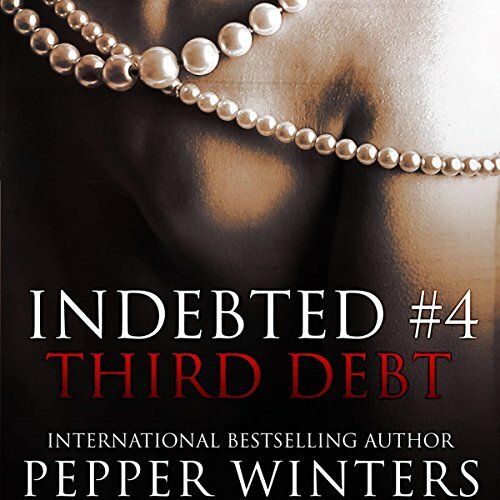 The third debt is full of surprises, no boring moments, you feel it and what a cliffhanger!!! Enjoyed both narrators, great job! Wait. What? I'm So Hooked! I love this story even if a bit implausible! 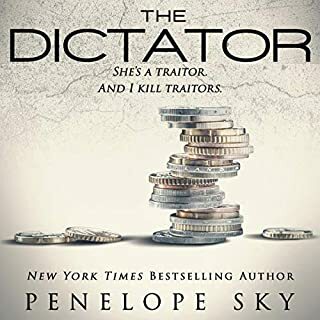 The characters are compelling and you can't help but root for Jethro and Nyla all while wanting to shake some sense into them. Now that Jethro's illness is revealed in the book, he may figure out why is father is always one step ahead of him (no spoilers here). The narrators were awesome, they have made this series very enjoyable even if the content gets really dark. So far this has been my favorite book in the series. I'm really hoping the 5th book is the final and everything will be revealed and it gets released SOON! OMG!! Not Jet and Cas!!! I HATE CUT, DANIEL & BONNIE!! They are such sick and demented vermin! The fact that I feel such a strong emotion for these characters should tell you just how amazing this series is!! So many twists and turns. Love and hate and betrayal. Right when I thought I had this series pegged down, oh my god. Twist. My heart is breaking through the love, through Jethro's "condition". Through it all and the cliffhanger of all soul destroying cliffhangers. And now on to the 5th book. The roller coaster ride has drained me. Just when I thought things were going to be alright, the story shifted and left me broken and sobbing. I don't know if the next book will grant a reprieve, but....the story must continue. I loved this book. The debts get more intense and the tension builds. Can Nila survive anymore? Will Jethro ever face his feelings for Nila? Will we ever find out the truth? Just a few of the many questions that pop up with another ending that leaves you hanging in anticipation. 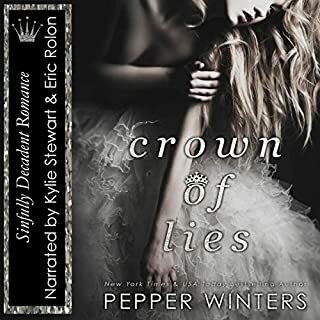 The narration is perfect with their portrayal of the characters feelings, pulling you deeper into the story, causing you to get more attached to these characters. An intense, heart-racing, heart-stopping roller coaster of a ride where emotions are concerned. My heart went on a roller coaster. Love, sadness, fear and lust. It broke and healed, just to be broken again. I have never read anything like this before. Will this not just end already?!? I'm bored now. The characters have somehow become more two-dimensional and even the ones I previously liked are now annoying me. How many more books are in this series? I don't intend to find out and am tapping out now.